In this article, you can see some useful photography apps that help you to add stylish effects & photo filters on your photos. There are tons of useful photography apps on the Apple Appstore but here we've selected only featured rich and easy to use photography apps for your iPhone and iPad. 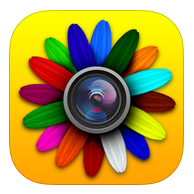 Check out these apps on your iDevice to make your photographs more stylish. 1. 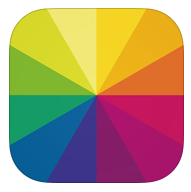 PicZone ( #iPhone & iPad) - Fully functional image editor that comes with lots of photo effects , photo filters and other image retouching options. You can add different types of photo effects & filters by using this photo editor. The app comes with various photo effects such as posterize, spot, hue, highlight , bloom, gloom, , pixelate etc. You can also change your photo filters into any of these photo filters - sepia, linear, vignette, tonal, process, transfer, chrome, instant, fade , curve, noir, mono, invert etc. Very useful photo editing application for iPhone users that comes with many image editing features including lots of fun photo stickers. 2. Photo Wonder ( iPhone ) - One of the best photo apps to add filters and effects to your photographs. You can also beautify your images by using different types of makeup tools. The app comes with almost all types of image editing options such as powerful freehand rotation collage maker option, photo editing suite including various visual effects , camera option with real time filters, lots of photo materials including stickers and emoji , stylish photo frames with cover magazines. Very useful photo app for your iPhone that is currently available free of cost on the Appstore. 3. 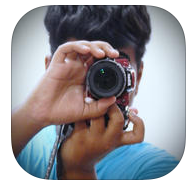 DSLR Camera With Filters & Stickers ( iPhone ) - DSLR camera app is one of the best apps to add DSLR effects and filters. The app comes with lots of features including cool filters and fun stickers. The app helps you add blur effects to your photographs like DSLR camera and also lets you try different filters and stickers on your photos. Very useful app that is available free of cost on the Appstore for iOS users. 4. Fotor Photo Editor & Cam ( iPhone ) - Fully functional image editing app for iPhone users that comes with lots of cool photo effects and image filters. Fotor helps you make amazing photo collages, edit your photos, add various visual effects, use different types of stickers and photo frames, discover photos of others and share your own creation with the world. 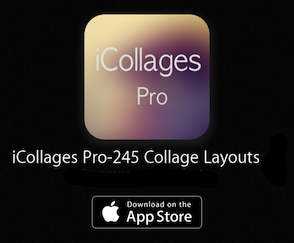 Great app for iPhone users that can be installed free of cost on your iDevice. 5. 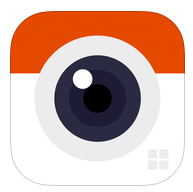 Retrica ( For iPhone ) - Retrica is one of the best apps to add photo different types of photo filters on your photos. One of the most downloaded photo filter selfie app on the Appstore.The app comes with very easy user interface that lets you take amazing photos instantly on your iPhone. You can download this app free of cost on your iDevice. 6. Rookie ( iPhone & iPad ) - Powerful photo editor for iOS users that is available free of cost on the Appstore. 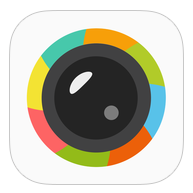 Rookie comes with lots of amazing photography features and helps you make your photos more attractive. Great photo app to add stylish photo filters and visual effects. The app comes with lots of features such as live filter camera option to shoot like professionals, stylish photo themes with 116 photo filters, texture effects, photo editing suite, powerful designing tool, fun photo stickers, social sharing option and many other useful features. 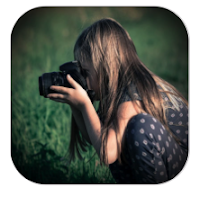 One of the best free photography apps on the Appstore for iPhone and iPad users. 7. Editor Pro: Fun Photo Stickers ( iPhone & iPad ) - Editor pro is a useful free image editing app for iOS users that comes with lots of photo editing tools including stylish photo filters and image effects. You can add various photo effects and filters to your photographs. 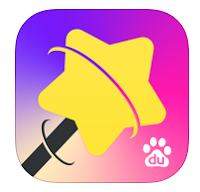 The app has lots of features including stickers, color splash, color balancing tool, photo frames, borders and many other features. 8. 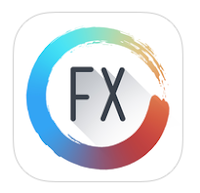 Paint FX ( For iPhone & iPad ) - Paint FX is a premium photo app that comes with large collection of photo effects and image filters. Paint FX is a great universal iOS app that lets you add amazing photo effects to your photos. With the help of Paint FX, you can make your photos more beautiful and attractive by using various editing tools, masking tool, customizable photo effects & brushes.